We can supply tubes and profiles from 1mm to 500mm diameter using a range of processes for pultrusion to Filament winding. Our versatility means that we can find the optimum tube design and manufacture process for any application, from 100mm to 6000mm lengths. Our current machine winds diameters up to 500mm, and lengths of 3000mm. We can design and manufacture machines to your requirements, from a basic 2 axis pipe winder to a pressure vessel winder. We aim to be a cost effective solution to small volume manufacturers. If it’s interesting, we’ll do it! From Rockets to Sculptures, we use our experience to provide a complete solution. 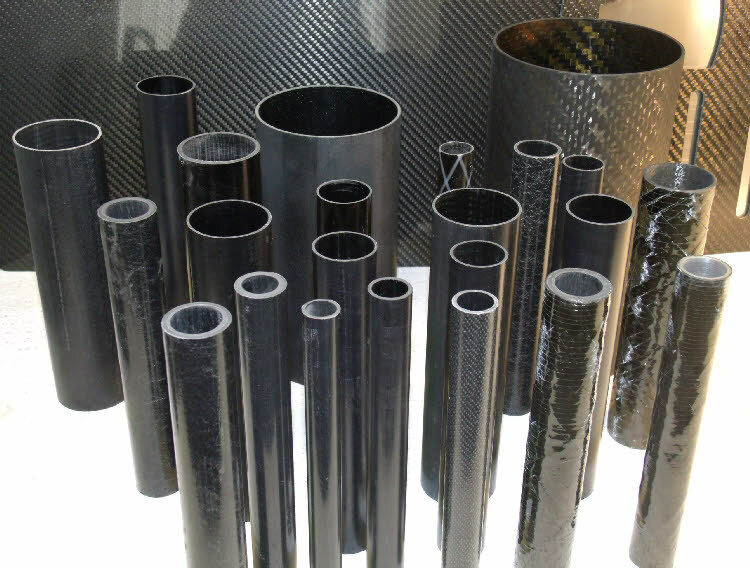 Composite Mast Engineering supply Carbon, Glass & Hybrid, tubes and profiles. We can supply Pultrusions, Pullwound, Prepreg and Filament Wound tubes, whichever fits the desired specification, volume and target cost. We manufacture our own Filament Winding machines, aimed the lower volume end of the market where machines traditionally have been too expensive to consider. We primarily wind with Towpreg from RED Composites.